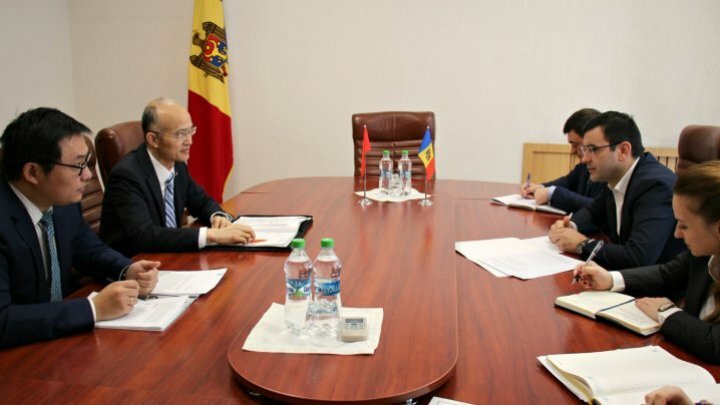 Moldova's Minister of Economy Chiril Gaburici had a meeting with Ambassador of People's Republic of China Zhang Yinghong. The officials tabled issues of strengthening and expanding the bilateral relations between the two countries, road infrastructure, railways and information technologies. In this context, Moldovan Minister mentioned that road infrastructure remains a priority of Ministry for 2019. Ambassador Zhang Yinghong, in turn, mentioned the importance of strengthening links between Eurasian countries and infrastructure development across the continent. The official also reiterated China's support in the development of infrastructure projects in the Republic of Moldova. The interlocutors also referred to the negotiation process on the conclusion of the Free Trade Agreement. Three rounds of negotiations were already organized in 2018. During the talk, Minister Chiril Gaburici mentioned the need to organize the fourth round of negotiations on the Free Trade Agreement at the earliest possible date. The volume of foreign trade of the Republic of Moldova with the People's Republic of China in 2018 amounted to about $ 619.2 million. Compared to 2017, the volume of foreign trade increased by 18.1% or 94.8 million dollars.